Anasayfa / CHARGEBACK ING / What is a CHARGEBACK ? How Does a Merchant Respond To a CHARGEBACK ? 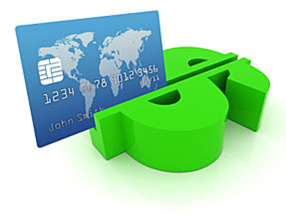 A chargeback is the reversal of a sale transaction. For merchants, chargebacks can be costly. Merchants can lose both the amount of the transaction being charged back and the related merchandise. Merchants also incur own internal costs for processing the chargeback. Although merchants probably can not avoid chargebacks completely, they can take steps to reduce or prevent chargeback. Merchant bank receives chargeback and resolves issue or forwards to its merchant. Cardholder bank recieves re-presented item and reviews. If the representment documents meet the chargeback conditions; then the card ıssuer re-posts to cardholder’s account. If the representment documents do not meet the chargeback conditions; then card ıssuer submit second chargeback , charge it back to merchant’s acquiring bank again and cardholder receives credit. Definition : The Cardholder does not recognise the transaction appearing on the billing statement. Most Common Causes : The merchant store name or location reflected on the cardholder’s billing statement was not correct or recognizable to the cardholder. Definition: Merchant failed to follow the proper Authorization procedures. The merchant did not obtain an authorization for a transaction or obtained it after the transaction date. After a decline or card pickup response, the merchant forced the transaction through without attempting another request. The merchant accepted a card after its expiration or “Good Thru” date and did not obtain an authorization approval from the card issuer. If the merchant obtained an authorization approval code, then the merchant must inform its acquiring bank of the transaction date and amount. If the transaction was not authorized, then the merchant must accept the chargeback. Definition: The merchant completed the transaction without the cardholder’s permisson and the cardholder states that neither he,she nor anyone authorized by him or her engaged in the transaction. The merchant completed a card present transaction without obtaining the cardholder’s signature on the sales receipt. The merchant processed a card absent transaction from a person who was fraudulenty using an account number. The cardholder did not recognise a card absent transaction on his or her statement due to an unclear or confusing merchant name. If the transaction was face to face and the transaction has been PIN – verified, the chargeback is invalid. If the transaction was card absent transaction then the merchant may send a copy of the transaction invoice, signed proof of delivery and any other information to its acquirer bank. But these supporting documents and informations do not directly prevent chargeback. Definition: A Merchant or an Acquirer processed a transaction incorrectly. Definition: The merchant continued to charge a cardholder for a Recurring Transaction despite notification of cancellation or the Cardholder received damaged / defective merchandise, or the merchandise / service did not match what was described. If the merchandise was shipped after the specified delivery date, then merchant must provide the shipment date with proof of delivery and acceptance by the cardholder. Tags (Incorrect currency or Transaction code Cancelled / Returned Cancelled recurring transaction chargeback Chargeback Dispute Groups Credit Not Processed Customer disputes Duplicate processing) fraud How chargebacks occur Incorrect transaction amount Late presentment Merchant Rights Non matching account number Non Receipt Goods/Services Not as Described or Defective Merchandise Paid by other means PIN - verified Processing errors Supporting Documents the chargeback life cycle Transaction Not Recognized what is a chargeback ?